I hope you’re looking forward to this upcoming week as much as I am! Thanksgiving plans are pretty well set and now there’s just some last minute shopping, some prep and cooking for the big day! I’m so excited for it! 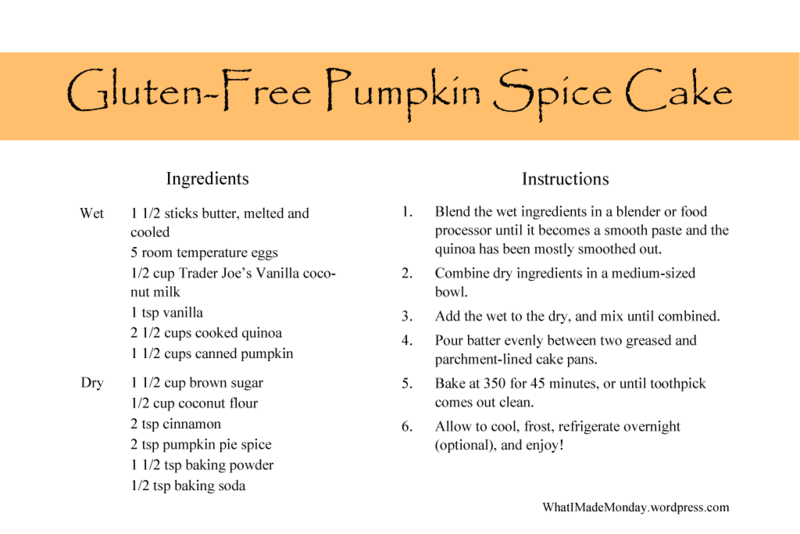 Today I have a last minute Thanksgiving dessert for you. 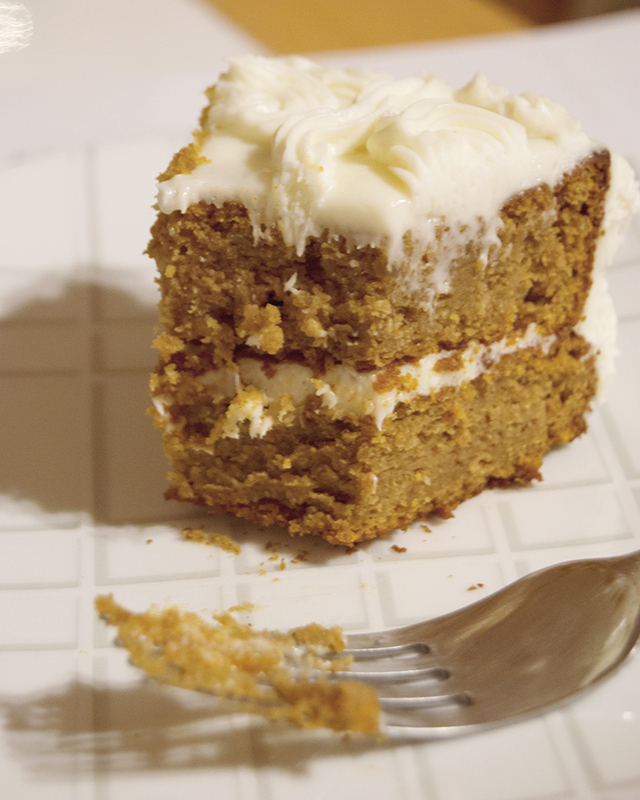 Pumpkin spice cake. Yum! It’s somewhat between a cake and a pie in that it’s kind of soft, but it works perfectly because of that. I hope you enjoy! 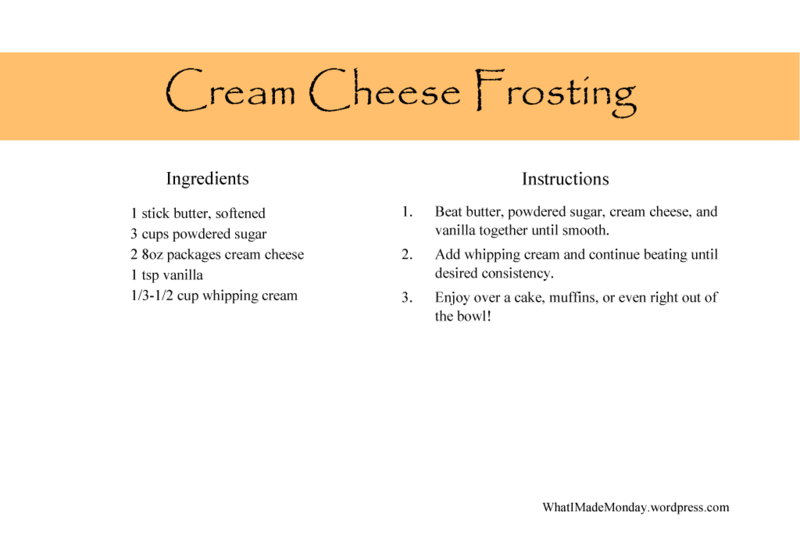 It goes perfectly with my cream cheese frosting, so I’m attaching that recipe again as well. I hope you enjoy! And have a wonderful Thanksgiving! Do you entertain at home, or go to family’s? We’re going to my parents’ house this year, and I am so looking forward to spending it with them again!